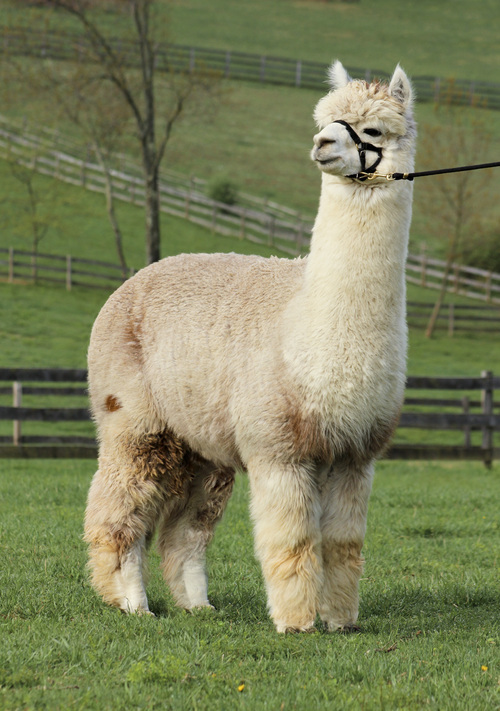 When Harmony Rose was born we had no idea she would go on to produce the best grey Herdsires in the Country! She has given us Aussie Guns -n- Roses, Aussie .38 Special, Aussie Snow Patrol, Aussie REO Speedwagon, Aussie Bon Jovi!! She also has given us two females, Aussie Velvet Revolver. That sums up her story! Aussie .38 Special is a one of a kind boy! He has proven his genetics time and time again. 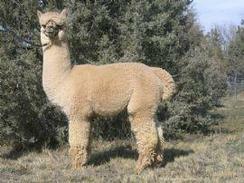 This amazing boy has won 15 championships, 2 judges choice awards, futurity champion, and 2012 dark herdsire of the year! 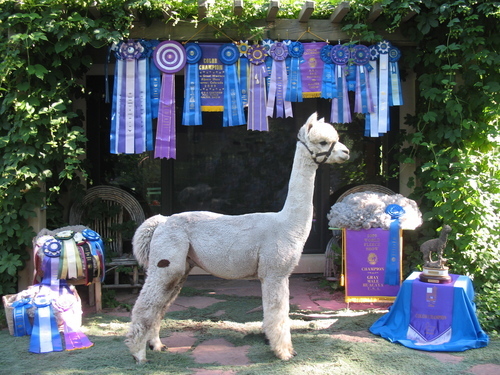 At the impressive age of 6 he won the Nationals Color Champion ! 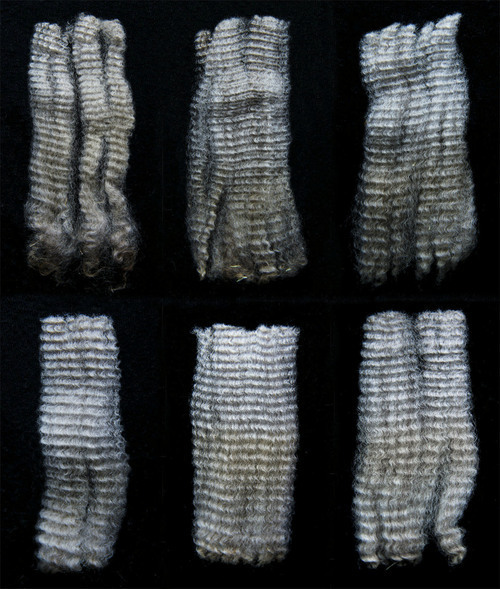 HIs impressive fleece has been passed on time and time again to his offspring each year. TO find out how you can get his genetics into your herd today.. call, email or stop by the farm to get more information. 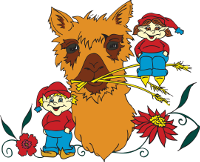 Proudly co-owned with A Paca Fun Farm and Copper Star Alpaca Farm.